The job market is a fast-moving one, with roles being filled and new jobs being listed every few minutes no matter which industry you operate in. 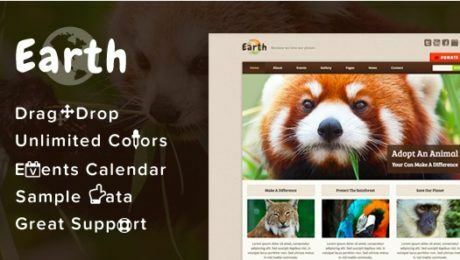 Having an easy to use, up to date website is key for recruitment agencies as it’s imperative to keep up with the pace. 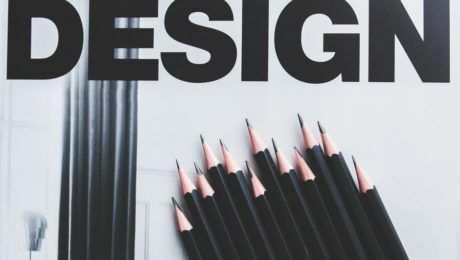 For today’s post we’re sharing the web’s top ten job search themes that include everything from large-scale job listing websites to job boards that are perfect for niche agencies. 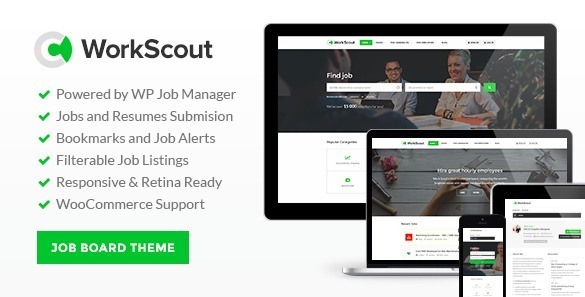 Perfect for both recruiters and employment agencies, WorkScout was developed around the WP Job Manager plugin, which comes free when you purchase the theme. 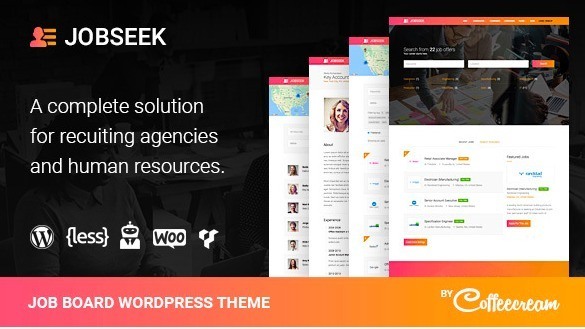 An advertising solution for recruiting agencies and human resources departments, Jobseek is an attractive, clean theme that comes with the WP Job Manager plugin that allows you to create a smart job board on your site. 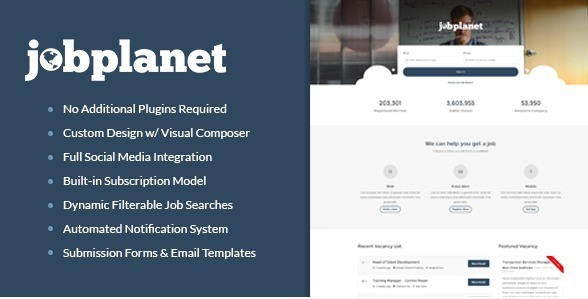 Mesh Jobs is a dedicated and fully functional theme for WordPress, which is focused around the WP Job Manager Plugin. 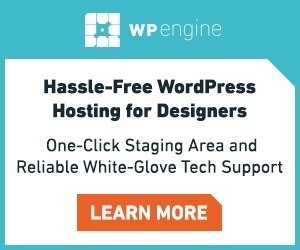 Coming complete with Visual Composer, Revolution Slider and the aforementioned WP Job Manager, everything you need to get your job agency site up and running is included. 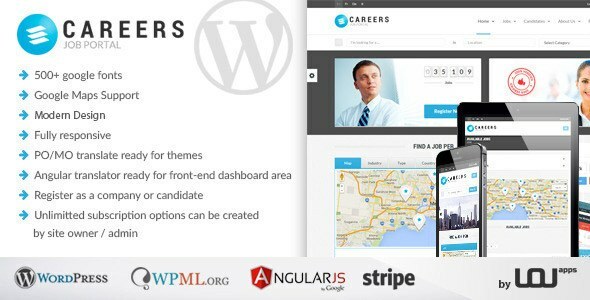 Careers is an HR and job portal WordPress theme that is packed full of features to help you create the perfect website for your organisation, including front-end user pages for both recruiters and candidates, a Stripe payment gateway and the ability to create subscription packages. 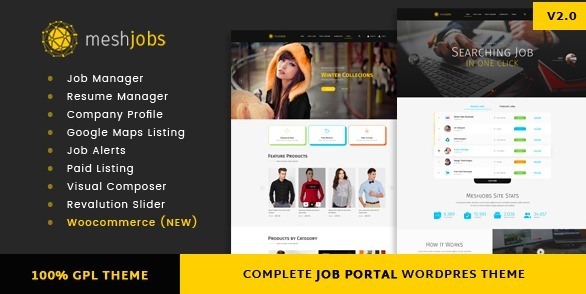 Described by the creators as ‘the most feature rich and user friendly job posting WordPress theme’, JobCareer comes with numerous pre-designed templates, free premium add-ons (that include email alerts, WooCommerce payment and application deadlines) and user accounts for both candidates and employers. 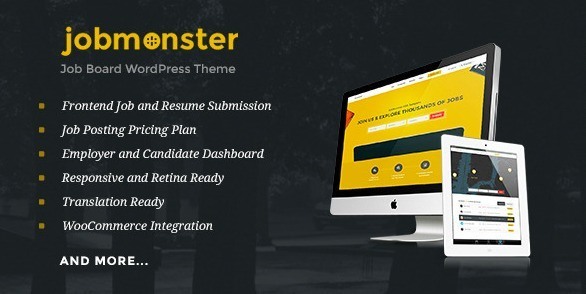 JobInn is a responsive WordPress theme designed for large recruitment websites that require a built-in job board. 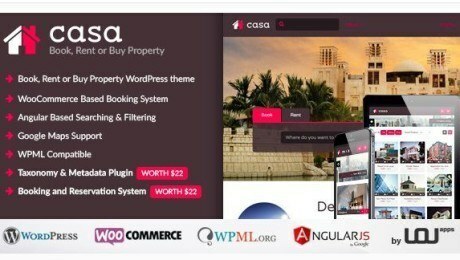 The theme allows you to simply manage your categories and job listings, and also provides functionality for front-end job and CV submission. 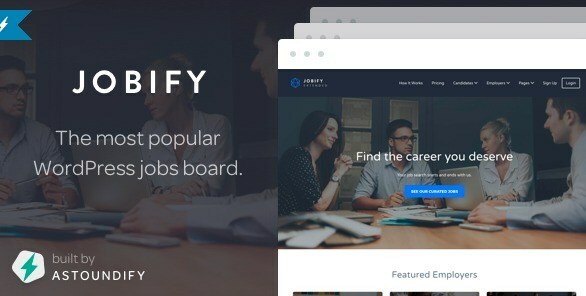 Version 3.3.0 of Jobify was recently released and features a plethora of exciting new features, including the Automatic Theme Importer, which will get your site set up just like the demo within five minutes, and the ability to create an eye-catching parallax effect on the theme’s Feature Callout widgets. 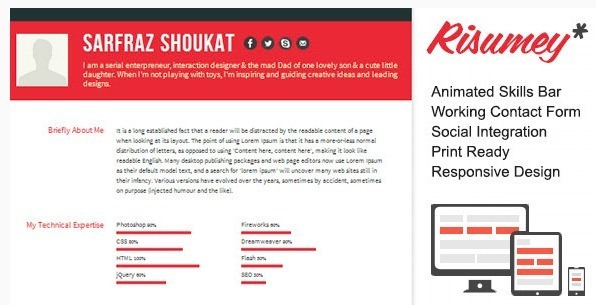 We thought we’d end things with something a little bit different, as Risumey isn’t quite a job board theme. 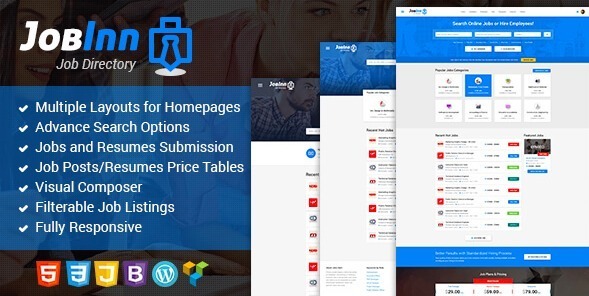 Instead, it’s a responsive HTML5 resume template, which allows you to build your CV as an eye-catching website that can be shared with recruiters and agencies.